With more than 140,000 people having already attended the Field of Light: Avenue of Honour, Anzac Day evening will be one of the last opportunities to experience this incredibly moving tribute to the Anzacs. 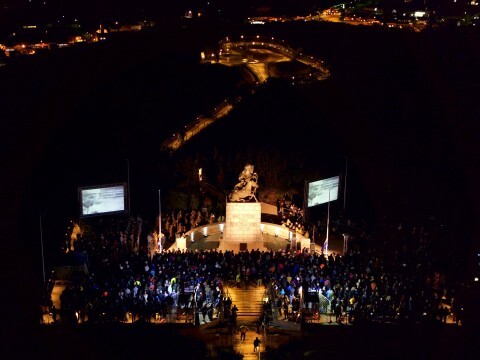 Mayor Dennis Wellington said Albany had become a place where people could visit to connect the Anzac story without travelling abroad, and through the National Anzac Centre learn more about the sacrifices our Anzacs made. 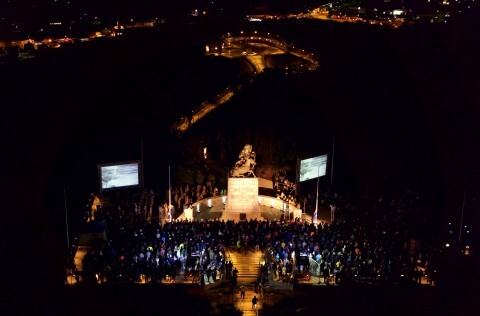 “Albany’s unique connection with the Anzac legend should be told far and wide, and we’ll be using a live stream to share this story with the world through the National Anzac Centre’s Facebook page and website,” he said. “With Anzac centenary commemorations drawing to a close last year, the City is continuing to support the Albany RSL to deliver a service which honours our troops and our place in history appropriately”. The Albany RSL Gunfire Breakfast will be indoors at the Albany Boat Shed for the first time in many years, allowing patrons to enjoy their breakfast burger in comfort regardless of the elements. With large crowds expected to make the trek to the Desert Mounted Corps Memorial, the Boat Shed will also host a live simulcast of the service for those who miss a spot or cannot get to the service.